Bankruptcy requires an order from the court. In simple terms it means that all the bankrupt’s assets belong to the trustee in bankruptcy (who will be appointed by the court). An ongoing legal action may be an “asset” for these purposes. 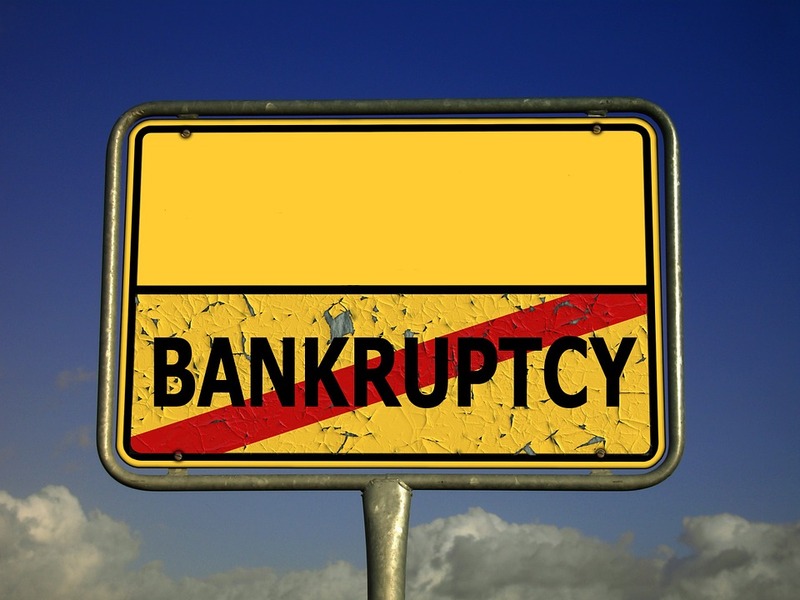 A bankrupt cannot, therefore bring, or continue, legal proceedings. The bankruptcy is discharged after 12 months. However all the assets that were held by the bankrupt prior to the bankruptcy remain vested in the Trustee in bankruptcy. (The irony is that, as we saw in a judgment last week, an individual without any assets at all is unlikely to be made bankrupt. The court will not make an order as it will serve no useful purpose). A good example of this is the judgment In Khan -v- Khan & Ambala Foods Limited  EWHC 2625 (Ch). Master Bowles struck out an action on an abuse of process on the grounds that the claimant was bankrupt and had no authority to issue proceedings. “The second ground of abuse, however, is one that I find to be made out. That ground stems from the bankruptcy of the Claimant and the consequent vesting of his causes of action, if any, in his trustee in bankruptcy. The Claimant was declared bankrupt on his own petition, in respect, I gather, of credit card debts, on 20th February 2013. It is common ground that all the Claimant’s claimed causes of action had accrued by that date and, accordingly, that they constituted ‘property’ of the bankrupt, for purposes of his bankruptcy and formed part, therefore, of his estate, for that purpose. The consequence of that, by reason of section 306 of the Insolvency Act 1986, is that, upon the appointment of a trustee in bankruptcy taking effect, or upon the official receiver becoming trustee, all the Claimant’s causes of action vested in his trustee and the Claimant, himself, was, correspondingly, divested of those causes of action. In this case, no trustee was appointed, as such, but, rather, as was confirmed upon behalf of the Claimant, the official receiver became the trustee in bankruptcy, pursuant to the procedure set out in section 293 of the Insolvency Act, whereby, if the official receiver elects not to call a meeting of creditors within the twelve week period prescribed by that section, he serves notice of that decision upon the court and upon known creditors and whereby, upon that service, he becomes the trustee. The result, or consequence, of the foregoing is that, as from, at latest, May 2013, the Claimant has not retained the causes of action upon which, in these proceedings, commenced in October 2014, he purports to rely, and that, inevitably, these proceedings fall to be struck out as an abuse of process, as being proceedings doomed to failure. For the same reason, the proceedings, likewise, have no realistic prospect of success and the Defendants are, in consequence, entitled to judgment against the Claimant upon his Claims. In the face of this situation, Mr Willmer made the only submission open to him, namely that, rather than, at this stage, striking out the Claim, or giving judgment upon the Claim to the Defendants, I should, instead, stay the Claim, in order to give the official receiver, as trustee, the opportunity, if so advised, to adopt the Claim. In the Eaton case the claimant went bankrupt after being injured. It is not clear whether he failed to inform his solicitors or no-one appreciated the significance of this. The right of action vests in the trustee in bankruptcy. The general damages vest in the claimant personally and do not form part of the trustee’s find. If the claim contains any element of special damages the whole claim passes to the trustee. Any general damages recovered will belong to the bankrupt. Kerry Underwood wrote a detailed article on this point Personal Injury: Acting for Bankrupts in June 2014. It has been held that where a right of action involves damage to both the person and property of the bankrupt, there is only one cause of action, with different ‘heads’ of damage. The right cannot be split [note 12] (see paragraph 31.9.44 for a limited exception to this principle). Most personal injury claims will be “hybrid” claims. Useful examples are given in the Insolvency Direct manual. An assault on a taxi driver causing a bodily injury (personal), post traumatic stress (personal), damage to the taxi (property) and an inability to work (loss of earnings – property). The annulment of the bankruptcy. The trustee to file an application for an order substituting him as bankrupt. The claimant to take an assignment of the the cause of action and make an application notice for an order giving him permission to amend the claim form and/or particulars of claim to plead his right by assignment. If any of these things did not happen within a three month period then the action would be struck out as an abuse of process. This is made clear in the Insolvency Direct manual. Where a death is caused by a wrongful act or neglect such as would (if death had not ensued) have entitled the deceased to bring an action for damages, the person liable shall still be liable to an action for damages despite the death of the person [note 30]. Such a action is for the benefit of the dependants of the person whose death was caused [note 31]. I have seen several cases where a carer in a personal injury has been made bankrupt and the trustee has sought to claim that part of the damages which are, technically, held on trust for the carer. This highlights the importance of identifying, precisely, what the care element of a settlement is, even in circumstances where the claimant has no real interest in this because the carer does not want the damages.